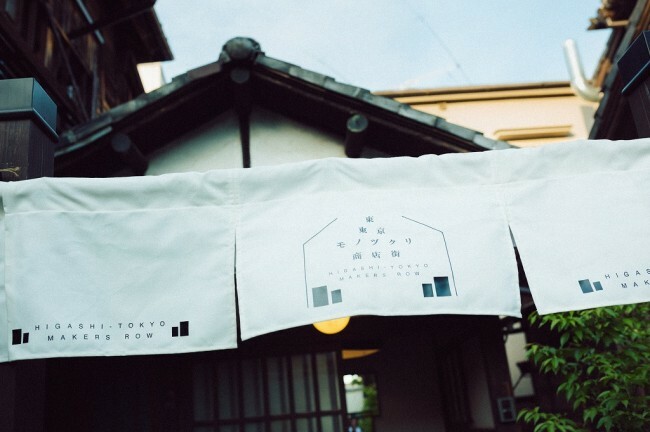 24th August (Fri) ~ 29th August (Wed): 'Enjoyable stores and 5 workshops ~ Higashi-Tokyo's Makers Row' exhibit, on display. 2018.08.08 24th August (Fri) ~ 29th August (Wed): 'Enjoyable stores and 5 workshops ~ Higashi-Tokyo's Makers Row' exhibit, on display. At the 'Enjoyable stores and 5 workshops ~ Higashi-Tokyo's Makers Row' exhibit hosted by ISHIKAWA WIRE NETTING Co.,Ltd, a store selling Wire Mesh Origami [Fabric Metals ORIAMI] as well as a number of workshops are to be hosted. Higashi-Tokyo's Makers Row is a fanciful gathering of tremendously skilled workshops from the wards throughout East Tokyo, such as Sumida, Taito, Arakawa and Adachi. This Higashi-Tokyo's Makers Row exhibit is an authentic event. On the 5th floor of East Tokyo's Skytree Town's Solamachi complex you'll find an assembly of pleasant little stores where unique products from downtown Tokyo are gathered together, the 'Industry Sightseeing Plaza - Sumida Site'. ISHIKAWA WIRE NETTING Co.,Ltd will be selling Wire Mesh Origami on site for the duration of the event. Furthermore, on the afternoon of the 25th (Sat) the 'Experience creating roses and leaves with Wire Mesh Origami [Fabric Metals ORIAMI]' workshop will be hosted. The schedule is to start one 45 participant workshop every hour from 1pm to 4pm. Children below 10 years of age must be accompanied by a guardian. Entry fee is ¥1,000. So how about making some memories at the end of the summer holiday by creating "ORIAMI"? We hope to see plenty of participants! "ORIAMI" workshop: 25th August (Sat) from 1pm, 2pm, 3pm and 4pm. 45 participants per workshop. Entry fee is ¥1,000. *Children below 10 years of age must be accompanied by a guardian.